The USA has diminished from one-time Olympics boxing powerhouse into being a world laughingstock by the 2012 Olympics. Golden Gloves champions include Joe Louis, Ezzard Charles, Michael Spinks, Sonny Liston, Michael Carbajal, Floyd Mayweather Jr., Oscar De La Hoya, Aaron Pryor, Thomas Hearns, Roy Jones Jr., Evander Holyfield and Muhammad Ali. The 2012 USA men’s Olympics boxing team won 0 gold, 0 silver and 0 bronze medals. Golden Gloves nationally, and especially Phoenix, Arizona, was once an esteemed annual event. Areas like Chicago and New York City still care but the amateur tournament has been in decline for years. During the 1950’s there were no professional sports teams in Phoenix. There was only Arizona State University football and Golden Gloves tournament. From 1955-57, under head coach Dan Divine with Frank Kush as line coach the A.S.U. team compiled a 27-3-1 record. Golden Gloves was spread over several months covering the same fall season as the successful college football team. A photograph from Golden Gloves action was sure to make the front page of both local newspapers, Arizona Republic and Phoenix Gazette. The military played an important sponsorship role as the majority of Golden Gloves boxers were veterans. The population has grown from slightly over 100,000 in 1950 to more than 1,500,000 today. There is currently Phoenix professional sports teams including football, basketball (men and women), baseball and hockey. 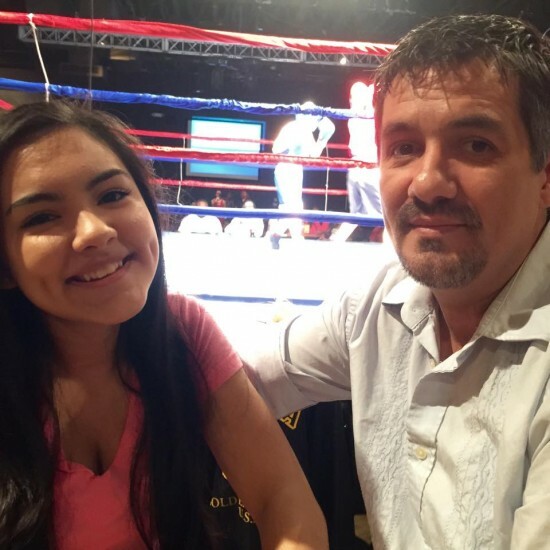 Arizona Golden Gloves has shrunk from several months to a long weekend.